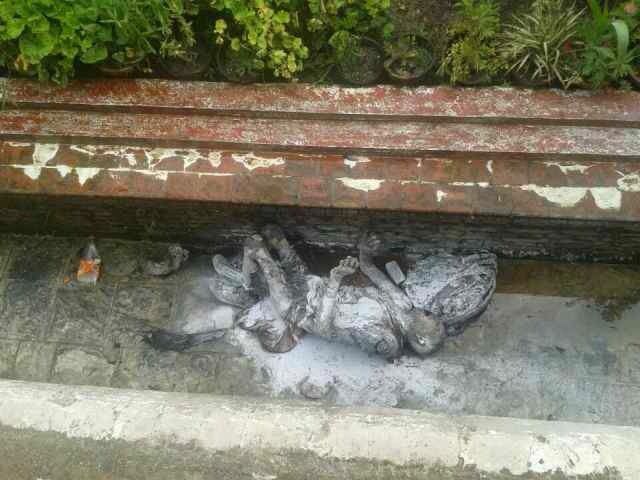 Today, August 6, 2013, at 8 AM local time, on the road of circumbulation around Boudhnat stupa in Nepal one Tibetan monk set himself on fire in protest against Chinese repressive rule in Tibet. For Karma Nyedhon Gyatso, 39 yrs old monk, who self-immolated at Boudha Stupa, Kathmandu, Nepal on August 6th 2013. He is from Damshung Tibet. He crossed the boarder to Nepal on January 30th 2012. A witness wrote that he sat cross-legged silently while being engulfed in the flame. In the painful picture of his sacrificed body, I saw his arms were raised as if he were to reach the sky, the transparent and blue sky in his motherland. 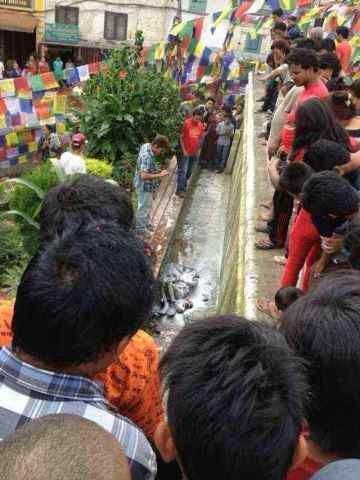 Please return Karma Nyedon Gyatso's body to the Tibetan community in Kathmandu. I remember him walking down with his hands on the slope to the main temple in McLoed with us last november. I remember his peaceful profile holding a candle in his hand. It was at the vigil at the Main Temple during the sunset. After his self-immolation in Kathmandu on August 6th, Nepalese police took his body and has not returned to a TIbetan community there. Please return his body so as Tibetan people can pray for him properly.